Swibert D�Souza, passed away on Monday, July 20, 2015. Funeral cortege leaves risidence �Berts Villa� Thottam for St Ann�s Church, Thottam on Wednesday, July 22 at 9.30 am, followed by Mass. Peter Lobo, passed away on July 17, 2015. Funeral on Sunday, July 19 at Borimar Church at 2.30 pm. Sobina Lobo, Passed away on July 13, 2015. Funeral cortege leaves residence Lobo Mansion, Moodusagu House, Kalathur Post to Mai De Dius Church at Shirva Manchakal on Friday, July 17, at 2.30 pm. Mass at 3 pm. Alice Marti, passed away on July 12, 2015. Funeral Mass at 4.00 pm on Monday, July 13 in Mother of God Church, Mogarnad. Lorna Monteiro, passed away on July 7, 2015. Funeral cortege leaves residence �Joy View� S L Mathias Road, Falnir for Our Lady of Miracles Church, Milagres, Mangalore on July 11 at 2.45 pm. Mass at 3.15 pm. Fr Thomas C D�Souza, passed away on July 8, 2015. Funeral on Thursday, July 9 at Mukka Parish at 4.00 pm. 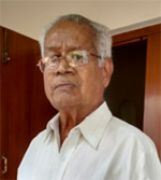 Leo Santhan Sequeira, passed away on July 2, 2015.Funeral cortege leaves residence at 4.00 pm on Saturday, July 4 for St Dominic Church, Ashoknagar, Mangalore. Mass at 4:30 pm. Theresa Corda ,passed away on June 29, 2015. Funeral cortege leaves �S Corda Villa�, Madabettu House, Kalathur at 3.30 pm on Wednesday, July 1 for Perpetual Succour Church, Kalathur. Mass at 4.00 pm. 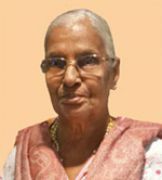 Sabina Lobo, Funeral cortege leaves residence ’Sweet Home’ Ganjimutt Alake Road on 29-06-2015 for Ferrar Church at 9.30 am, followed by Mass at 10 A.M.
Felcy D�Souza , passed away on June 23, 2015. Funeral details will be announced later. Pauline Martis (80), wife of the late Jerome Martis, mother of Xavier, Edward, Gilbert & Ida, passed away on June 23, 2015. Funeral cortege leaves residence Moodu Daddu House, Pernal at 3.30 pm on Thursday, June 25 for Our Lady of Fatima Church, Pernal. Mass at 4.00 pm. Mathias Pinto,passed away on June 21, 2015 at 10.30 pm. Funeral cortege leaves residence for St Anna Church, Kelari on Monday, June 22 at 3.30 pm. Mass at 4.00 pm. Edward Pinto, passed away in Bangalore on June 18, 2015. The funeral service will be held at Holy Ghost Church on Tuesday, June 23 at 3 pm. The mortal remains will be kept for public viewing after the funeral service.